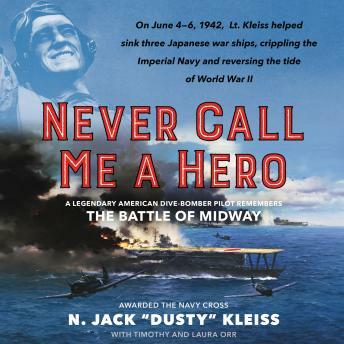 An extraordinary firsthand account of the Battle of Midway by one of its key participants, timed to the 75th anniversary: American dive-bomber pilot 'Dusty' Kleiss helped sink three Japanese warships (including two aircraft carriers), received the Navy Cross, and is credited with playing a decisive individual role in determining the outcome of a battle that is considered a turning point in World War II. Amazing story. Highley recommended for all listeners.